It is certain that the first time a palate was cleansed with a young Calvados eau de vie, it happened during a meal consumed near to the still during distillation season. With this small sip in whatever glass was available, a tradition was born. Place sorbet in the glass. 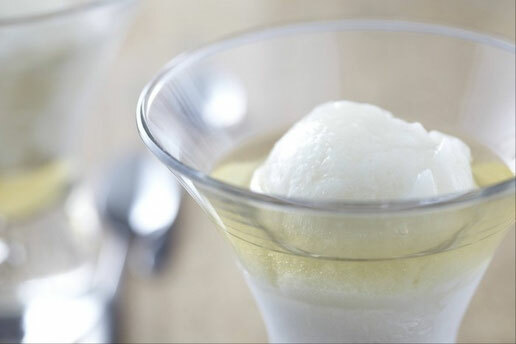 Pour Calvados over the sorbet. Add mint leaf garnish. Serve immediately with small spoon.